There are three main types of muzzle devices which are used with the AR-15: muzzle brake, flash suppressor, and compensator. Another device which merits mention is Hollywood’s favorite – the sound suppressor. Each of these devices serves a different purpose, so what it right for one individual may not be right for another. Again, as with other kinds of accessories and additions, it isn’t about what looks good or is “tacticool”. It is first and foremost about you and your weapon. What feels right for you is right for you. The end. Don’t take anyone else’s bellyaching about this matter. So, let’s break it down a bit. A muzzle brake is a piece of equipment which redirects pressure and gas to the rear of the rifle. 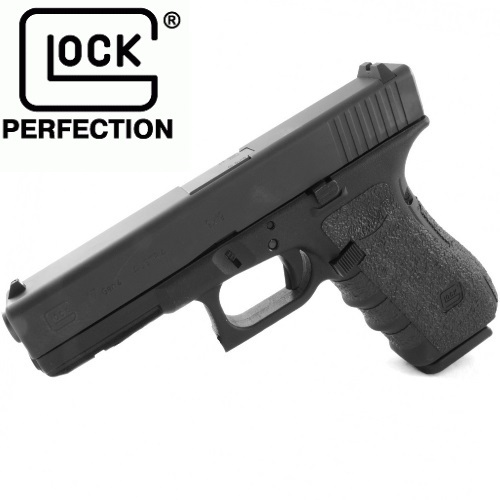 This enables better control of the weapon, more accurate follow-up shots, and less recoil. This is what most people will have on their rifles. 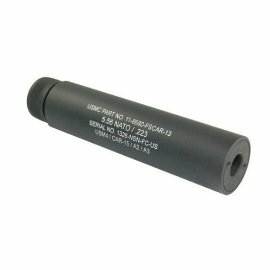 A flash suppressor (or flash hider) is meant to do just that – mask the flash. This is done so your position won’t be given away or compromised during night / low light conditions. However, this is only applicable at night. During the daytime, the flash suppressor serves no purpose, and only increases the weight of the firearm. 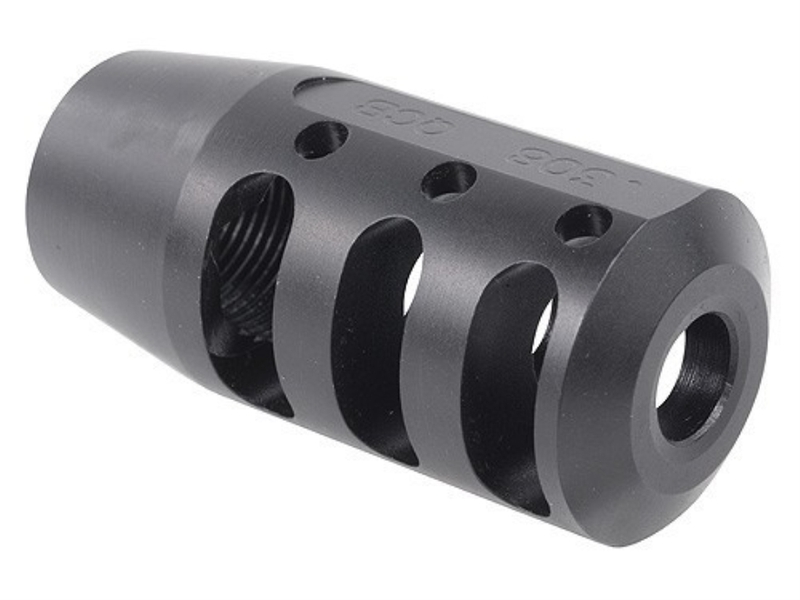 A compensator helps reduce muzzle climb. This really takes your follow-up shots where they need to go. With less muzzle climb, you are able to continue firing. The compensator has a couple of disadvantages, though. There is no suppression of flash, and no major reduction in recoil. A sound suppressor significantly reduces the rifle’s noise volume and muzzle flash. A rifle’s noise is created by the high-temperature gases which escape the muzzle. In some cases, there could also be noise when a projectile, traveling faster than the speed of sound, breaks the sound barrier and creates a sonic boom. Some noise (which is a lot less in volume) can be heard coming from the firearm itself, as its parts move. In the United States, 41 out of the 50 states have various regulations concerning civilians owning sound suppressors. The other 9 states explicitly ban any use of them. Federal law is very strict when it comes to silencers, and those who use a silenced weapon to commit a crime could find themselves spending a minimum of 30 years in federal prison. 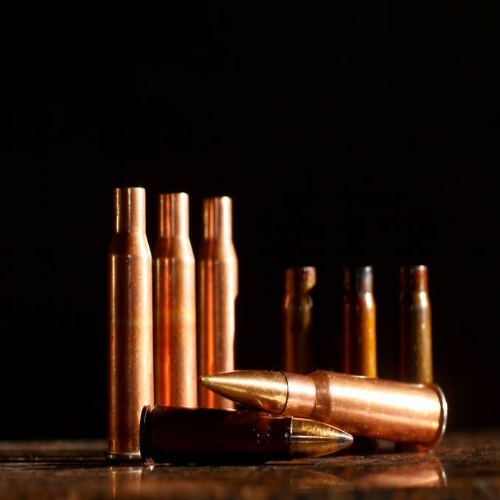 Many considerations should be taken into account when deciding on a muzzle device: the device’s durability, the length of the barrel, weight, size, caliber, and others. Some M16 muzzle devices allow for several functions, so take your time and make sure to buy the one that’s right for you and fits your needs. 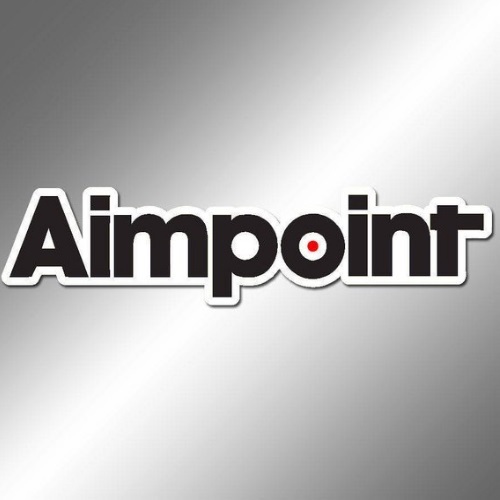 This is a list of some of the most popular muzzle devices for the AR-15 / M16. This brake is cut by machine (CNC), and made in the USA. The shape of it allows gasses to flow out rapidly, and provide the shooter with a clear follow-up shot. The cut is fit for 1/2X28 rifle thread, and it includes a jam nut for any adjustments which may be needed. This quality muzzle brake is heat-treated with carbon steel, which gives it a durability that you have never seen before. It also sports a manganese phosphate finish, and is threaded in 1/2X28. This brake makes the rifle louder to bystanders, so if discretion is in your list of considerations, take note. This uniquely-shaped brake is patented in the USA, It has a 4-side Picatinny rail, and is threaded for 1/2X28 barrels. The rail has 5 slots, in order to connect flip-up sight, laser, light, and any other accessory. Incidentally, moving your front sight further up will increase your sights’ combined accuracy. This item is a standard 5.56 muzzle brake. The cool thing about it is its look. It is an item which is purely cosmetic, as it were. It does not hide flash, it does not reduce too much of the recoil (AR-15’s don’t have that big a kick, anyway), and it does not silence your weapon. It is a muzzle brake, and nothing more. This device is back threaded, for easily slipping it over. It fits 1/2X28 barrels, and is made of 6061 CNC aluminum. There are engraved markings on it, identifying it as USMC equipment. Again, as I said, just for show. But yeah, it does make the rifle look great. This is one of the more expensive muzzle brakes, as they go. 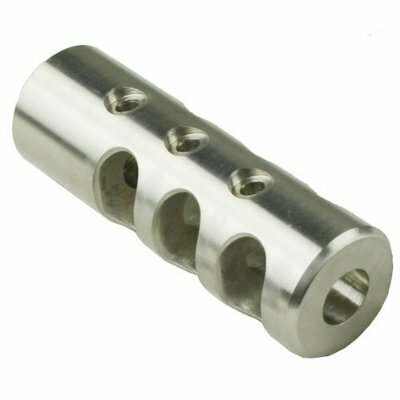 It is threaded for 1/2X28 barrels, and is made with hardened steel and given a nitride finish. This brake does a great job of reducing recoil and muzzle climb, and it comes highly recommended. Its design is still patent-pending, and while it isn’t a flash suppressor by definition, its design does do a lot to suppress the rifle’s flash. A fine addition to anyone’s AR-15. Choosing the right kind of gear for your weapon depends a lot about your designated use for it. 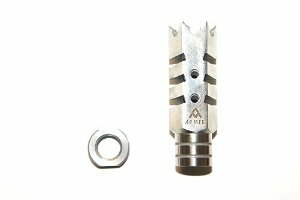 When it comes to muzzle devices, you should know what specifically it is that you are looking for. If you know, for a fact, that you won’t be needing this rifle at times of low lighting conditions, don’t bother buying a flash suppressor. If you know you will need to reduce the recoil or muzzle climb, this will open up another set of options. If you find yourself needing to silence your rifle, this is somewhat limiting. However, even within sound-suppressing muzzle devices, there is a whole world of accessories and designs to choose from. Make sure you choose wisely. Your weapon is an extension of yourself. If you want to be able to feel comfortable with it, you need to train with it and make it your own. Training can be done at the range, and accessorizing is done based on your expectations of yourself and your rifle. It seems that every yahoo who has ever held an AR-15 has an opinion about anything and everything that has to do with this rifle. Be sure not to listen to any know-it-alls. Your gun is your gun. You are the one who will need to fire it, not them. Do what you feel is right for you and your rifle’s particular designation – whether it is active duty, home defense, competitions, or every day carry. Price is a factor which I didn’t bring up, maybe because it is such a given. Get what you can afford, and don’t go nuts. Even the lousiest AR-15 or M4’s in the world will be able to be serve as a lethal weapon in the hands of a good shooter. Remember that the shooter is one who is firing the gun, and it has to fit his needs. It could be the most pimped-out gun since The Fifth Element’s ZF-1, but if the shooter has no experience, no training, and no grasp of accurate firing procedure – those expensive accessories won’t amount to anything.